Huss Brewing Co. Koffee Kolsch- Tempe Arizona based Huss Brewing Company has done something very unique with their Koffee Kolsch. Instead of creating the expected coffee porter or stout, Koffee Kolsch is lighter Kolsch style pale ale and boy howdy does it taste like coffee! This beer is perfect for someone who’d like to try a coffee flavored beer but isn’t keen on the heavier and darker porters and stouts. Durango Brewing Co. Blueberry Wheat Ale- Based on the brewer’s award winning wheat beer, with an added refreshing hint of blueberry. Durango Brewing Co. is one of the older craft breweries celebrating 25 years of brewing! Their Blueberry Wheat Ale was first brought to us by the folks after one of their trips to Durango (they’d been drinking it for a while). The great thing about this beer is that while the blueberry notes are apparent, they do not overpower the delicious wheat ale. Renegade Brewing Co. Redacted Rye India Pale Ale- Most beer drinkers are, by now, familiar with the hoppy, piney, citrusy flavor profile of IPAs. Colorado brewery Renegade Brewing Co’s Redacted adds more depth with the addition of rye. It’s immediately noticeable and adds an earthy, peppery note that compliments the traditional flavors of an IPA very well. Sonoran Brewing Co. Wht Chclt- Who doesn’t love chocolate? Similar to Huss Brewing Co., Sonoran Brewing has taken a flavor once thought to be reserved for darker beers such as porters and stouts and created something magical. This pale wheat ale tastes exactly like white chocolate. It is a bit sweeter than what you’d expect from a pale ale of any kind but if you have a sweet tooth this beer is for you! Dogfish Head Indian Brown Ale- Brown Ales are a great compromise for someone who doesn’t want a lighter beer but isn’t quite ready to commit to the dark side. Milton Delaware’s Dogfish Head Brewery offers one of the best brown ales. A cross between a Scotch Ale, an India Pale Ale and an American Brown, Indian Brown Ale is well-hopped and malty at the same time. It quite literally is the best of both worlds! The Traveler Beer Co. Illusive Traveler Grapefruit Shandy- We wanted to include a fruit forward craft beer that embraces its fruit flavor (versus being only enhanced by it like Durango’s Blueberry Wheat Ale). We couldn’t think of a better example than Traveler’s Grapefruit Shandy (though their Lemon Shandy is also quite tasty). They take a wheat ale and add real grapefruit, creating a light and refreshing shandy that is great poolside (trust us, we know!). 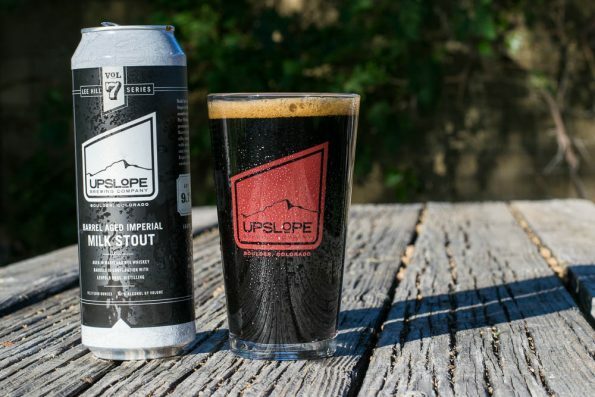 Upslope Brewing Co. Barrel Aged Imperial Milk Stout- If you can find this limited quantity stout, buy it! “In collaboration with Leopold Bros, a Colorado-based small batch distiller of spirits, the Imperial Milk Stout was housed in Maryland-style rye whiskey barrels for seven months to create a cold-weather beer rich with notes of cocoa and vanilla, while offering gentle cinnamon undertones and a certain rye whiskey spice.” This beer is phenomenal! Everything you’d want from an Imperial Stout and then some! The stout paired with the whiskey undertones makes this beer feel like a meal (and not a bad one at that). 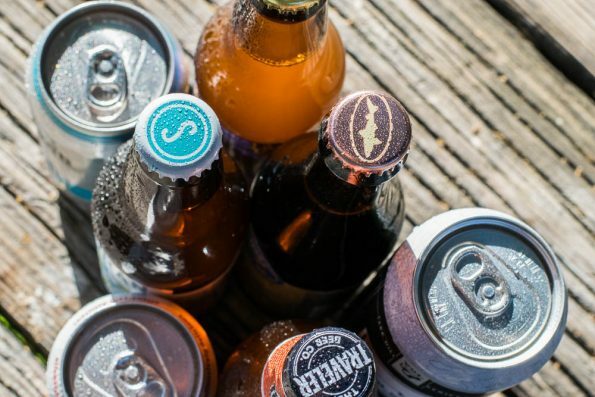 With American Craft Beer Week underway, we want to know what you are drinking this week! Will it be an old favorite or perhaps a new seasonal? 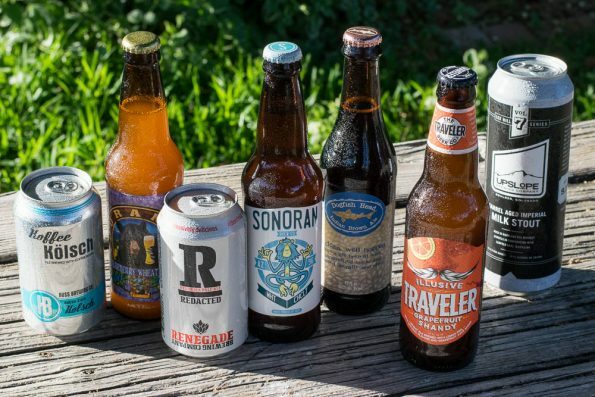 Leave a comment below or use the hashtag #GeekEats to share your American Craft Beer Week favs! Cheers!